Any chutney prepared should have minimum 50% T.S.S and minimum 40% prepared fruit in final product. (W/W). Mango fruit, Sugar, Salt, Vinegar, Spices, Steel Vessels, Spoons, Hand refractometer, Stainless Steel knife, Steel sieve, etc. 1. Select mature unripe fruits. Remove the stalk. Wash the fruits in running water to remove the dirt, dust, etc. 2. Weight the fruits and add water in proportion of 1: 2 in it. Cook the fruits till they become soft. Cool the fruits, do the fruits, do the peeling and remove pulp through 1 mm mesh stainless steel sieve. Use the stained pulp for further preparation. 3. Add small quantity of water to pulp and mix sugar and salt keep the mixture for boiling. 4. While this mixture is boiling, add the ingredients of spice material, i.e. cardamom, cinnamon, red chilli powder, ginger, onion and garlic tied in the muslin cloth. To avoid charring of vessel at the bottom, stirring should be continued. When the mixture will become of jam consistency the muslin cloth along with spice material should be removed after squeezing. 5. Add vinegar and boil the mixture for few seconds till it become of jam consistency. 6. To store the chutney in good condition add 200 mg KMS or 250 mg Sodium Benzoate preservatives /kg of finished product. 7. 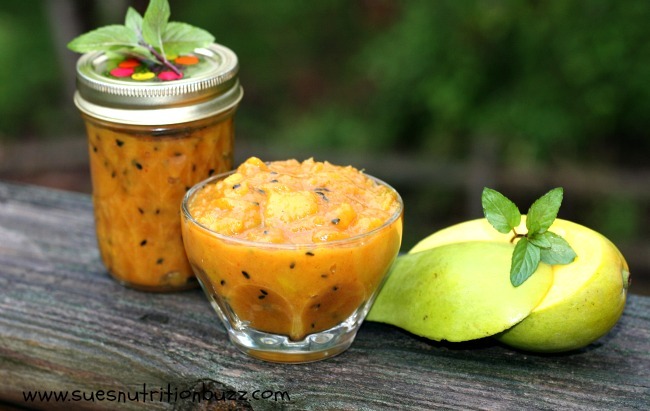 Fill the hot chutney into sterilized glass jars and add melted wax layer at the top of the container to avoid direct contact of microorganisms with product. 8. Keep the bottles in cool, dry place after proper labelling.